and best of all, the tool also provides a zero-install executable, perfect for use straight from usb sticks. 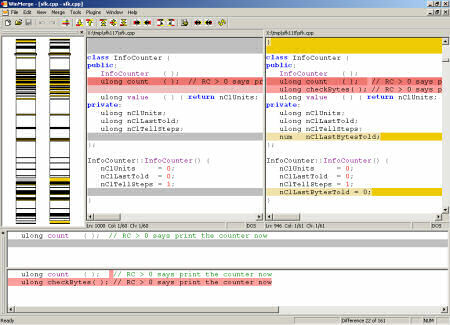 download winmerge from sourceforge here. and copy the WinMerge.exe you find therein somewhere in your PATH. of course, copying just the single .exe means leaving out some features provided by plugins and filters - but so far I use only source code comparison (.cpp, .java) and for that the single .exe is sufficient. 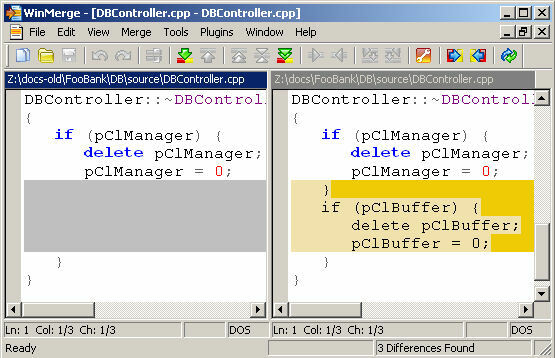 but to really find out, for example, that FooBank\DB\source\DBController.cpp is different, I have to invest at least three double mouseclicks. multiply this by all other files which may have differences, this clicking-around is a major waste of time - a problem common to most GUI based programs. when you're done reviewing these changes, close winmerge by a click at the right top, and the next different file will show up instantly. 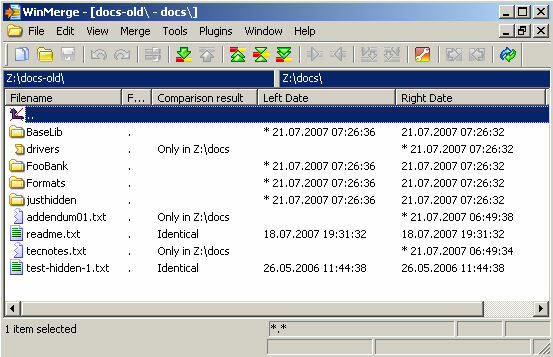 further reading: another way of getting a fast overview of text file differences, using the cygwin "diff" command, can be found here.